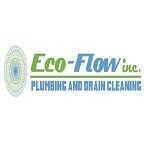 If you need a reliable Santa Cruz plumber, look no further than Eco-Flow Plumbing. Established in 2008, our goal is to provide consistent service on all jobs large and small. Whether you're looking for drain cleaning or need a high pressure water jetting and sewer repair, we're the team to enlist for your Santa Cruz plumbing needs. Our team of courteous, well-informed plumbers knows their craft inside and out. Dr. Kirman is a board-certified plastic surgeon specializing in microsurgical breast reconstruction and cosmetic surgery of the breasts, face, and body contouring. 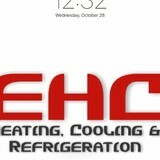 Welcome to E H C Eros Heating and Cooling! We are California's premier professional heating and air conditioning contractor offering the highest quality and most attentive customer service. We are known to pay exquisite attention to detail while making customer satisfaction our number one priority. 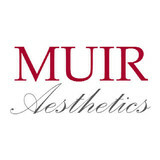 Please call us today to schedule your appointment! We are bonded and insured. 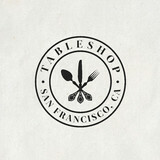 Retailer and wholesaler of enamelware and flatware. We have over 28 patterns of high-end, banquet quality flatware and beautiful Bornn enamelware. Regardless of whether we’re installing, repairing or simply maintaining your systems, we take that responsibility very seriously. That’s why we undergo extensive training throughout the year, and are screened to be the most helpful and expert technicians we can find. It’s what keeps our thousands of customers and brings hundreds more referrals our way. For heating and air cooling system that maximizes your efficiency and comfort, call us today! Sienna Brand products have been created to improve the lifestyle of consumers. Our more than twenty years of steam appliance design and manufacturing in the floor care and garment care category has provided us a greater insight than any other supplier in the industry. We have designed Sienna products for maximum efficiency and ease of use. Our look is clean, simple, high quality, built to last, and maintenance free. Sienna offers a full range of household appliances that steam, press, refresh, sanitize, clean, and deodorize just about everything in the home and office - from floors to clothing to furniture to the kitchen sink! The best part is our Sienna products do all these things in a chemical free and environmentally friendly way. Sienna is putting the power and germ killing effects of clean and natural steam where it counts. HONGKONG SUMERAIN GROUP Corp. is a professional manufacturer who specializes in designing and producing high-class LED faucets, waterfall faucets and antique faucets. "SUMERAIN" is our brand, factory locates in Shuikou town where is famous for "the Chinese sanitary ware kingdom" in Kaiping city, Guangdong province. In order to keep pace with oversea market's rapid development, SUMERAIN set up branch offices in Hongkong and America in 2011, it marks we start entry into the Southeast Asia and America market. HONGKONG SUMERAIN GROUP Corp. owns modern production facilities and quality test equipments, produces and manages strictly according to ISO9001 and Six Sigma requirements to ensure our good quality. Our products are designed and produced according to market orientation, they are very popular in America, Canada, Denmark, Italy, France etc due to their colorful styles, competitive price and reliable quality. We specialize in gifts for men. Gifts that he'd love to show off to all his friends. Offering high-quality mid century modern furniture and contemporary furniture direct from Italy, Bauhaus2YourHouse puts beautiful design in reach of people everywhere. Our goal is to provide you with timeless and unique pieces that will truly make a statement in your home. We mix enduring designs from Eero Saarinen, Le Corbusier, Mies Van der Rohe, Michael Thonet and Bauhaus designers with the latest contemporary furniture creations from Italy. 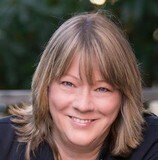 The Palo Alto Historical Association's mission is to collect, preserve and make available to the public information about the history of Palo Alto.